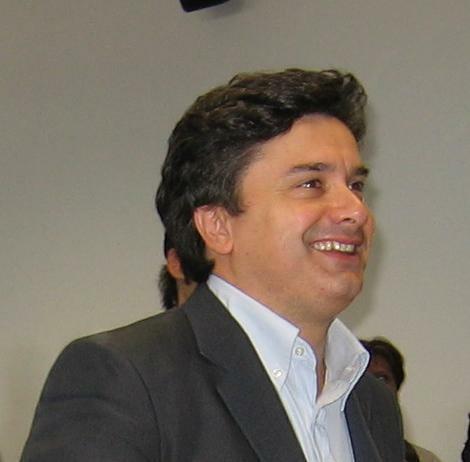 Flavio Corradini is Full Professor of Computer Science at the University of Camerino. Since November 2011, he is the Rector of the University of Camerino. He has been Prorector of International Research and the Transfer of Knowledge, Skills and Technology (2010-2011), and Director of the Mathematics and Computer Science Department (2006-2009), President of the center for digital services and information systems of the University of Camerino (2004-2010) and Coordinator of the Computer Science Studies of the University of Camerino (2004-2006). He was the co-founder and the President of the spin-off UniCam "e-Lios (e-Linking on line systems)". His main research activities are in the area of e-government and information society, in the area of formal specification, verification of concurrent, distributed and real-time systems and in the area of execution environments of mobile and distributed applications. He has published a number of papers in the main international journals and conferences of his area of interest like Journal of Electronic Governance, Journal of Computer and System Science, Information and Computation, Theoretical Computer Science, Science of Computer Programming, e-GOV, ICALP, Concur, MFCS, AMAST. He was involved in several national and international projects like EXPRESS (Expressiveness in Concurrency), SALADIN (Software Architecture and Languages to Coordinate Mobile DIstributed CompoNents), SAHARA (Software Architecture for Heterogeneous Access network infrAstructures), Centro di Eccellenza DEWS (Design Methodologies for Embedded controllers Wireless interconnect and System-on-chip, Univ. L'Aquila). He leads two research groups: UEG – Unicam E-Government Research Group and COSY - COmplex Systems.